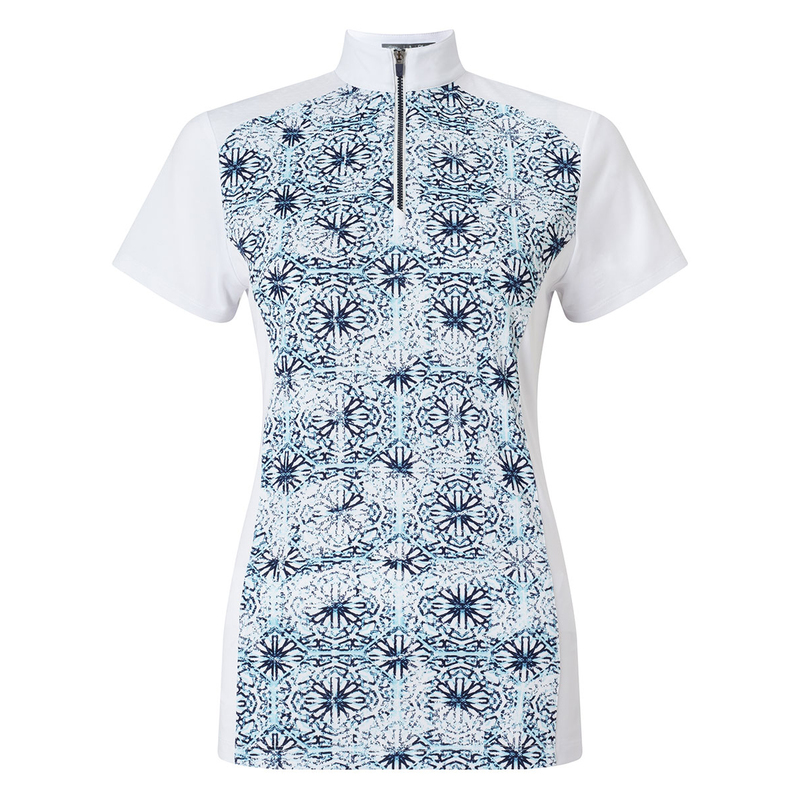 This highly fashionable polo shirt has been inspired with a beautiful Kaleidoscope Print. Which has been body mapped to curve the body, with an element of stretch to give increased mobility and comfort as you play golf. 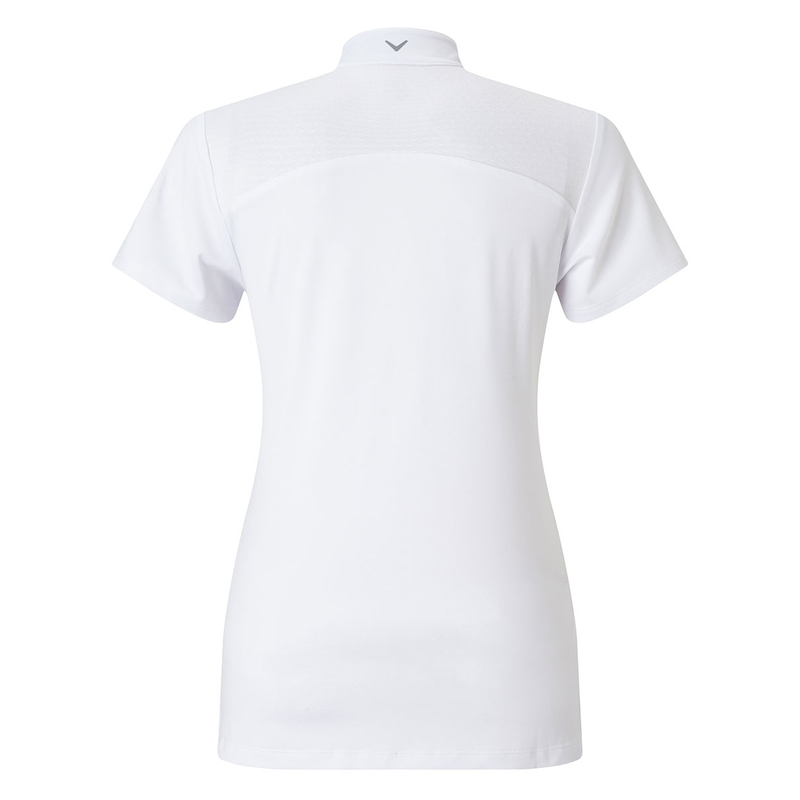 The design features a mock neck with zip opening, and has a rear back panel that enhances ventilation to keep you cool and comfortable during your round of golf. Finer detailing includes a metal Chevron zip pull, and features a Callaway Chevron on the back of the collar.